White oak newel base 90 x 90 x 2000mm - unfinished. This premium quality newel base is supplied unfinished ready for staining, varnishing, painting etc. The newel base is suitable for adding an intermediate newel post (which may be needed if your staircase is longer than 2400mm). You can use it to replace your existing newel, but do check first, as most newel posts at the top and bottom of the stairs are a structural component of the staircase. Get professional advice if unsure. 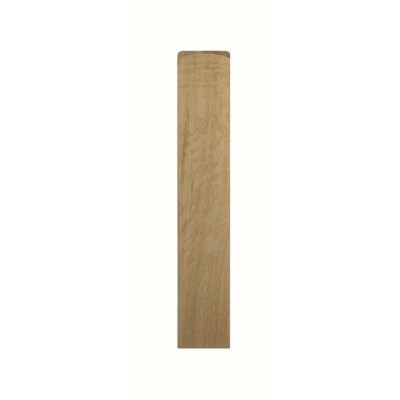 This newel base is used across the entire Richard Burbidge ranges.